Event to defend the British Labour Party against charges of anti-Semitism rescheduled after originally being scheduled for Yom Kippur Eve. 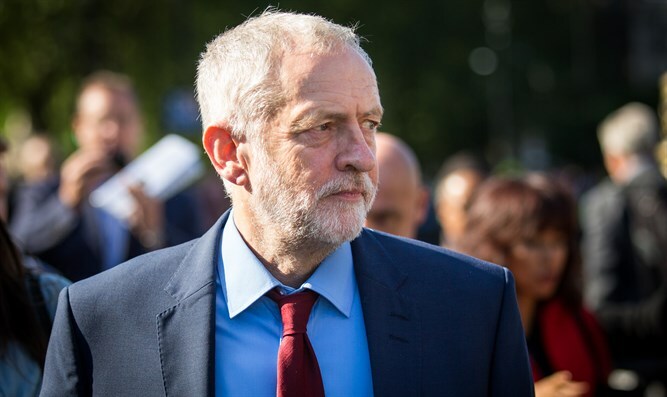 A public event set to defend the British Labour Party against charges of anti-Semitism was rescheduled after critics pointed out to organizers that it was scheduled for Yom Kippur Eve. Several of the speakers scheduled to debate the issue at the event in Bristol in the southwest of England are Jewish, the London-based Jewish Chronicle reported, including a representative of the Jewish Voice for Labour organization. Organizers apologized to JVL and moved the event a day earlier. “The organizers made an error and after JVL pointed this out to them they changed the date so any Jew who wants to can attend and no one is unnecessarily excluded,” a JVL spokesperson told the Jewish Chronicle. A similar event was held two weeks ago in London. Several Jews were prohibited from participating after organizers expressed concern that they would be disruptive, the Jewish Chronicle reported. Attendees at that event were caught on camera making anti-Semitic remarks.